PETALING JAYA: Although the contract awards for the first phase (Package A) of the light rail transit (LRT) extension project have eluded the big construction players, the big boys will have another chance to bid for phase two (Package B), which is estimated to be worth about RM1.7bil, by the middle of next year. On Nov 26, Syarikat Prasarana Negara Bhd (SPNB) awarded contracts worth RM1.7bil for Package A of the RM7bil LRT extension project involving the Kelana Jaya and Ampang lines. The main contract of Package A of the Kelana Jaya line, valued at RM950mil, was awarded to Trans Resources Corp Sdn Bhd (TRC). UEM Builders Bhd and Intria Bina Sdn Bhd jointly won the sub-contract works worth RM93.2mil. For the Package A Ampang line extension project, Bina Puri Holdings Bhd and Tim Sekata were jointly awarded the main contract and sub-contract works worth RM634.6mil and RM67.7mil respectively. 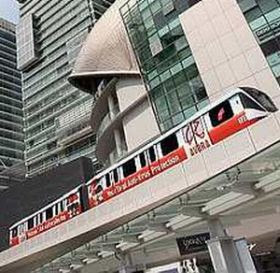 RHB Research Institute said that other players could still bid for jobs under phase two of the LRT extension project. It looks like the first phase of the LRT line extension work packages have eluded big names such as Gamuda Bhd, IJM Corp Bhd (IJM), WCT Bhd, Sunway Holdings Bhd and Malaysian Resources Corp Bhd (MRCB). However, there is always a second chance for these pre-qualified main contractors and sub-contractors to bid for the remaining works, it said in a recent report. The first phase of the Kelana Jaya line would be a 9.2km extension from the Kelana Jaya station to Summit. The second phase would involve a 7.8km extension from Summit to Putra Heights. Package A of the Ampang line involves a new 7.4km stretch from the Seri Petaling station to Station No. 5, while Package B would see a 10.3km extension from Station No. 5 to Putra Heights. According to SPNB, the tender for the facilities works under Package B for both lines would be called upon approval of the final railway scheme, which is expected by mid-2011. We estimate that the remaining work packages are worth about RM1.7bil as well, said RHB Research. IJM and MRCB told StarBiz that they would be participating in the tender for Package B of the LRT extension project. Kenanga Research said there were still contracts of significant value yet to be awarded under Package A of the LRT extension project. Based on the newsflow, Package A for the Ampang line could be valued at RM1.5bil and Kelana Jaya line at RM1.9bil. With the recent contract awards to Bina Puri and TRC, there will be projects worth another RM600mil and RM800mil respectively left to be awarded in the short term, it said in a report.